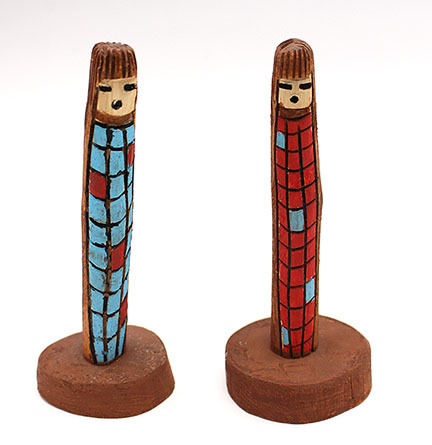 This wood maiden is carved out of wood and painted. It measures approximately 4 1/2" tall and base measures 1 1/4" to 1 1/2" diameter. It is Navajo hand cut and carved by Phil Corley. They are available in red, blue or a cream color. Choose color when orderiing.